President Buhari has withheld assent to the bill seeking to establish the Peace Corps. 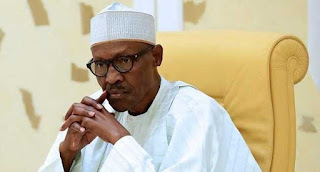 The President informed the lawmakers of his decision in a letter read during plenary on Tuesday by the Speaker of the House of Representatives, Yakubu Dogara. President Buhari cited security concerns and financial burden of funding the organisation by the government as his reasons for rejecting the bill. The National Assembly passed the Peace Corps Bill in 2017, after a prolonged battle involving the organisation and the nation’s security agencies. The bill has been widely anticipated by many Nigerians, especially the youth who believe creation of the corps will reduce unemployment.